In a statement by the Ministry, “the current administration inherited YouWin as an ongoing programme, which had made legally binding commitments of grants to 1, 500 entrepreneurs. 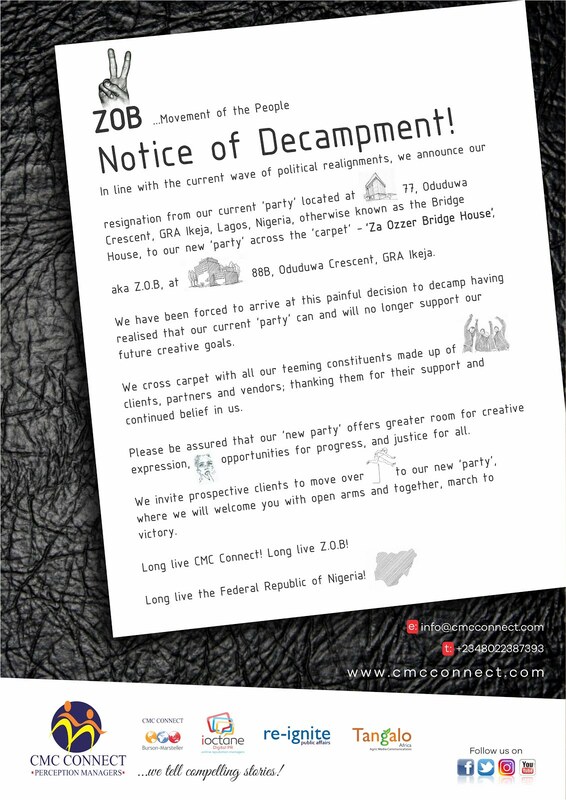 The administration decided that those commitments should be honoured. 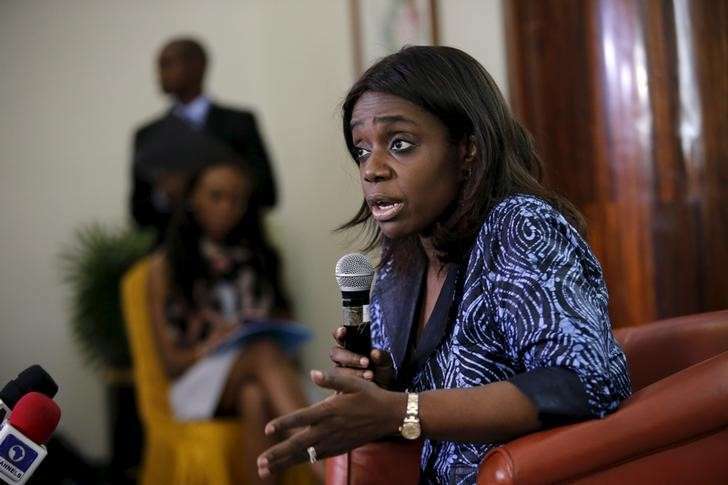 It was in that regard that a batch of awardees under YouWin 3 was submitted to the Minister of Finance, Mrs. Kemi Adeosun, for cash disbursement totaling N611, 821, 910 million. Crowdfunding is a form of crowdsourcing and alternative finance that basically involves funding a project or venture by raising monetary contributions from a large number of people. It allows entrepreneurs raise capital without giving up too much equity. It has over the years become an effective alternative for raising funds for business ideas. Jumia Travel, the leading online travel agency, shares 9 things entrepreneurs should know about crowdfunding to take full advantage of it. It is difficult to plan a crowdfunding campaign because you don’t know what to expect and can hardly predict the kind of reaction your campaign might get. Your campaign may or may not go viral but either way, you should be prepared to handle possible press attention and to respond to your growing community. You should be able to manage things immediately as they come up. In celebration of Global Money Week, Uber and Old Mutual have announced that they will be extending its free money management course that took place in South Africa to its driver-partners in Accra, (Ghana), Lagos (Nigeria) and Nairobi, (Kenya). The course reflects Global Money Week’s theme - Learn. Save. Earn. Driver-partners attending the workshops will be empowered with the skills to manage their finances in order to grow their income and save for the future. Workshops begin this week and drivers will receive an invitation via email to reserve their seat. 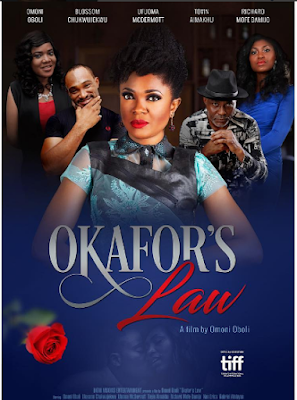 The much anticipated film, 'Okafor’s Law' by Nollywood actress, producer and director, Omoni Oboli was yesterday granted permission to go-ahead with the cinema release after several months of debate over the copyright of. The Federal High Court sitting in Ikoyi under Justice Ibrahim Buba gave the ruling after considering the arguments of the plaintiff (Raconteur Productions) and the defendants (Omoni Oboli, Dioni Visions Entertainment and FilmOne Distribution). 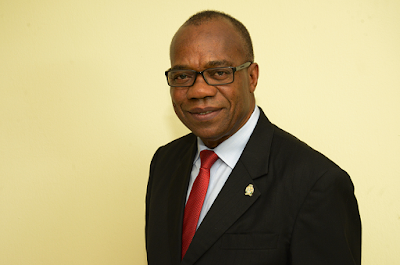 One of Nigeria’s most prominent entrepreneurs, investor and philanthropist, Chief Michael Ade.Ojo, OON, has stressed the need fordeveloping and mentoring young minds in entrepreneurship, especially students in tertiary institutions. 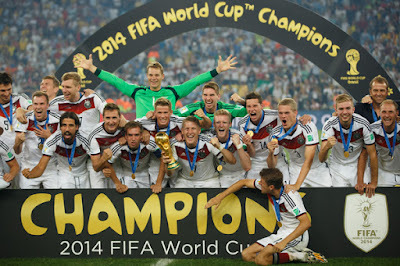 He pointed out that this is critical for Nigeria to achieve true greatness. Chief Ade.Ojo made this known on Wednesday atSheraton By Four Points Hotel, Victoria Island, Lagos where the new logo of Elizade University, Ilara-Mokin, Ondo State was unveiled to a select audience of corporate icons, University dons and media executives. 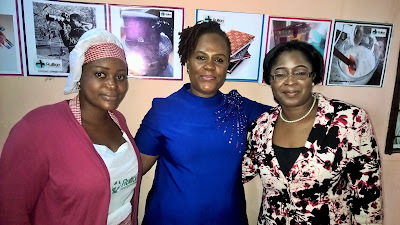 At the occasion, two graduating students, Iyanu Oluyade and Gift Silas, held an audience that included banker and entrepreneur Aigboje Aig-Imoukhuedeas well as ex-minister Julius Adelusi- Adeluyi spell bound as they shared spectacular entrepreneurship and academic experiences they gathered in their 4 years stay at Elizade University. 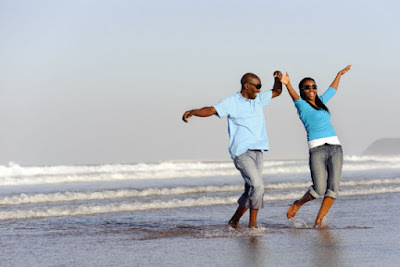 A recent JAMA wellness survey of males and females aged between 16-60 years old living across 32 States of Nigeria has revealed that more Nigerian men have faced sexual assault than women. The first JAMA wellness survey results on Sexual Assault was presented on Wednesday at Lagos Court of Arbitration, Lekki by the JAMA executive team. 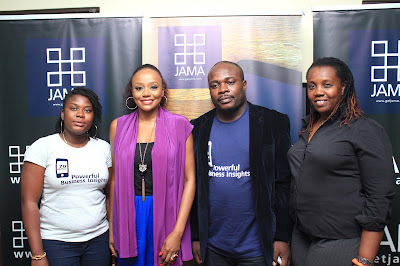 L-R: Fope Akinmola, Head of Product, GetJama; Michelle Dede, Actress; Ugochuku Nwosu, Business Manager, GetJama; Omoze Leke-Apapa, General Manager NOK 360 at the Jama Wellness Survey launch in Lagos. In a survey of almost 1,000 people, the JAMA wellness survey revealed that 59% of males have had parts of their bodies touched without permission or received inappropriate sexual messages or images electronically, versus 51% of Women. 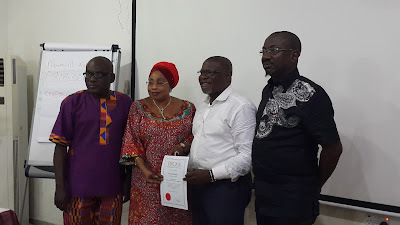 L-R: Offiong Anthony (Thin Tall Tony), Ese Eriata (Ese), Ekemini Ekerette (Kemen); Raliat Oyetunde, a principal SME Consultant to Heritage Bank/CEO of Prinsult Global; CoColce Sowode (Coco-Ice), Fela Ibidapo, Group Head, Corporate Communication of the bank; Gifty Powers, Uriel Oputa (Uriel), Miyonse Oluwaseyi (Miyonse) and Somadina Anyama (Soma), during the bank’s hosting of Ex-Housemates of the Big Brother Naija reality show and other 21st century emerging entrepreneurs to business breakfast meeting. Dufil Prima Foods Plc, makers of the leading noodles brand, Indomie Instant Noodles, has rewarded several schools and individuals in Lagos who won in the just concluded Indomie ‘You Like No Other’ (YLNO) promotion. The Indomie YLNO promo, designed to appreciate uniqueness and hard-work saw millions of consumers and schools send Indomie wrapper entries in a bid to win prizes. The grand prize, a brand new deluxe school bus, was eventually won by Our Lady of Mount Camel Nursery and Primary School with many other schools and individuals winning other prizes such as: premium power generating sets; music instruments; photocopying machines; public address systems and Indomie Bukas. 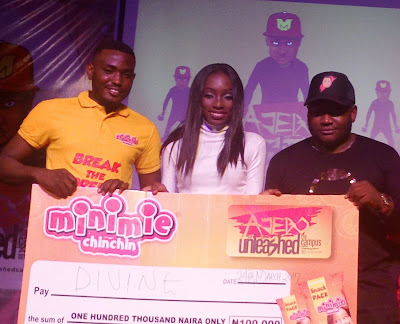 In its bid to break the boredom within campuses across Nigeria with high quality entertainment, Lead City University, Ibadan became the latest campus to be thrilled in the on-going Minimie ChinChin sponsored ‘Ajebo Unleashed Campus Tour’. Area Marketing Manager, Minimie Chin Chin, Aderoba Adetunji; Winner of Minimie Chin Chin Ajebo Unleashed Campus Tour Talent Hunt, Anyasi Divine and Erem Emeka aka Ajebo during the Cheque presentation to the winner of the Talent Hunt at The Lead City University, Ibadan. The entertainment train led by one of Nigeria's most entertaining comedian, "AjeboDcomedian" and his team on Friday, March 24th, 2016 stormed Lead City University Ibadan to round off the first quarter of the campus tour. Lead City University students experienced a fun filled night powered by Minimie ChinChin as comedy, music concert, talent hunts as well as message of hope, entrepreneurship and inspiration were dished out to the students by great acts such as: Elenu, Acapella, Pencil, Kenny Blaq, and MC Shakara. 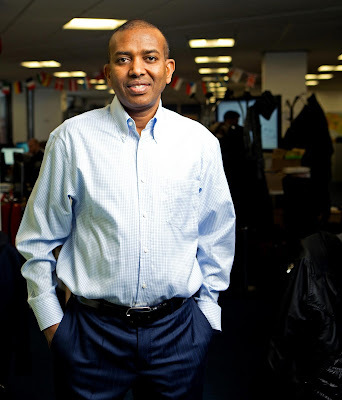 Uber is on search for a new General Manager for West Africa following Ebi Atawodi movement to the ride hailing firm's Amsterdam office as Product Manager where she will be leading global digital payments program. 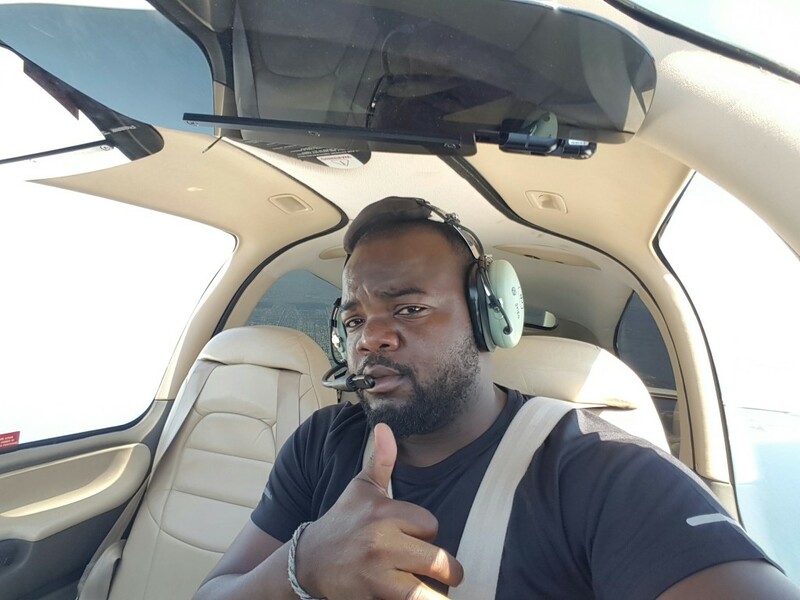 Ebi was the first General Manager of the company when it commenced operations in Nigeria in December 2014. She became the General Manager for West Africa in June 2016. A Nigerian pilot, Ademilola Odujinrin, fondly called Lola by friends and colleagues, and currently working for Air Djibouti has become the first African pilot in history to fly solo around the world. Lola finished the last leg of his historic flight Wednesday afternoon, as he landed safely at Washington Dulles International Airport in the United States. An analysis of the report of porting activities in February released by the Nigerian Communications Commission (NCC) revealed that more subscribers left Globacom than other networks. The report also showed that porting activities increased by 2,321 in February, 2017. The report entitled Incoming and Outgoing Porting Activities of Mobile Network Operators for February revealed that by this increase, subscribers porting within the network had reached 21,831 from the 19,510 recorded in January. Out of the 21,831 porting activities in February, 10,771 were “incoming porting activities”, while 11,060 were “outgoing activities”. 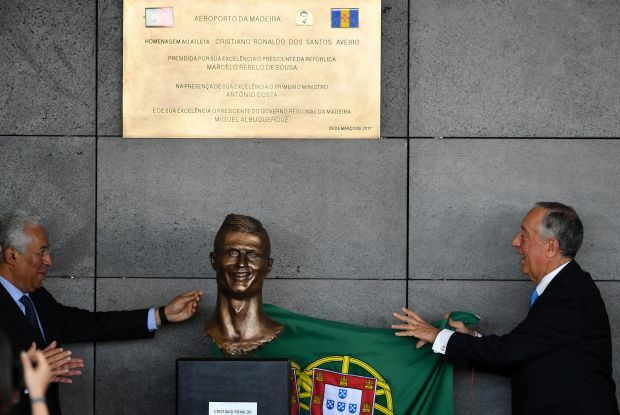 Cristiano Ronaldo's hometown airport in Madeira was renamed after him, but it was a nightmarish of the Portugal football star that attracted all the attention at the unveiling ceremony. The 32-year-old's statue, which was unveiled to much fanfare by Portuguese President Marcelo Rebelo de Sousa and Prime Minister Antonio Costa, was in contrast to Ronaldo's hadsome look. This was made on Wednesday by the Lagos State Director of the Agency when a delegation of Guild of Professional Bloggers of Nigeria, led by its President Chris Kehinde Nwandu (CKN) paid a courtesy visit to the State Headquarters of the Security Agency in Lagos. 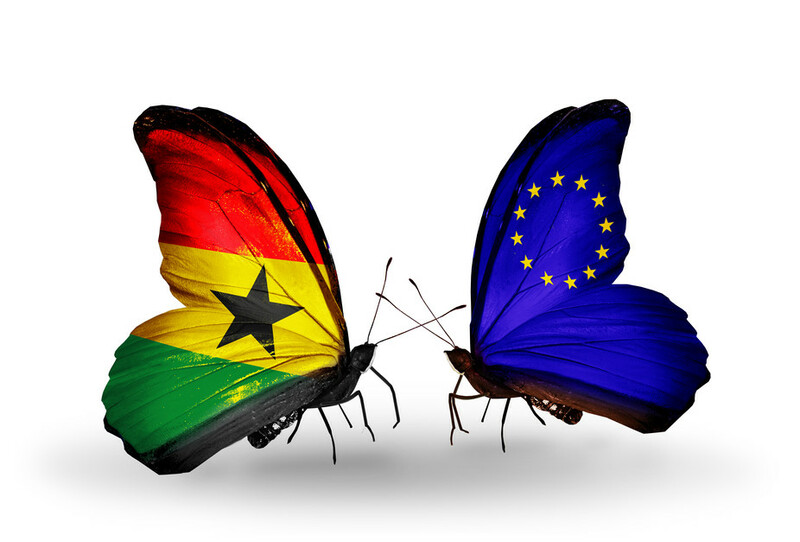 Can the relationship between Europe and Africa stand the test of time? The signing of the Treaty of Rome, which established the European Economic Community (EEC) 60 years ago in March 1957, came at a tumultuous time in relations between Europe and Africa. Just weeks earlier Kwame Nkrumah had declared Ghana a republic, an event which was a turning point in the decolonisation of sub-Saharan Africa. Nkrumah remarked that the treaty’s inclusion of colonial territories was to neocolonialism what the Berlin Treaty of 1885 had been to colonialism. Newly-elected Confederation of African Football (CAF) president Ahmad has throws his weight behind Moroccan bid for the 2026 Fifa World Cup, stating the country is a “stronghold” of the world game. Ahmad announced his intention during a visit to Morocco this week. 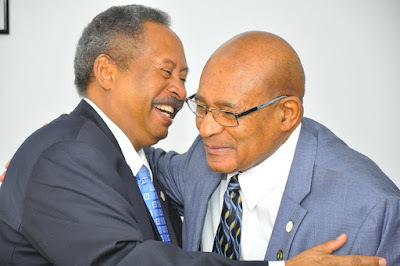 The Madagascan official, who goes by one name, was this month elected as the new president of CAF, ending Issa Hayatou’s long-held grip on power. GlaxoSmithKline Consumer Nigeria Plc has reported a 335 percent increase in its profit after tax for the 2016 financial year. 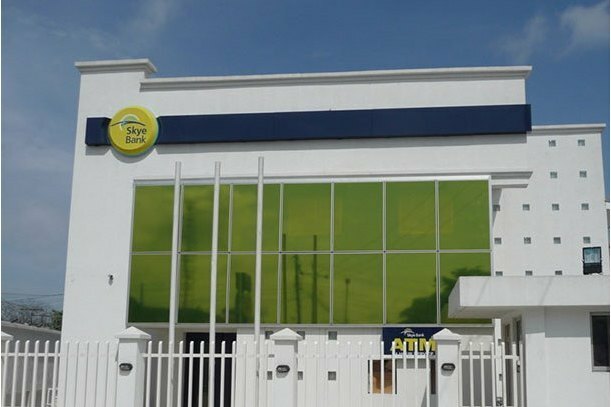 The company’s audited submitted to the Nigerian Stock Exchange on Tuesday showed that profit rose from N965 million in 2015 to N4.2 billion on the back of profits from the divested drinks business of N1.8bn and N2.4bn (including the effect of tax credit) from continuing operations while revenue of N14.4 billion was 7 percent lower than N15.4 billion in 2015. Samsung will today, Wednesday March 29, unveil its new flagship smartphones, the Galaxy S8 and S8+ in a simultaneous events in London's Olympic Park and New York's Lincoln Center. The launch of the devices are seen as a crucial moment for Samsung following the scandals that saw it forced to recall and cease production of the Galaxy Note 7, its previous high-end device. 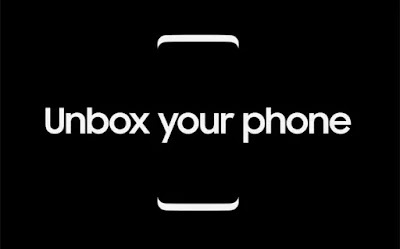 Samsung is expected to have pulled out all the stops for the launch, introducing a new design that will see an edge-to-edge display that will almost entirely cover the front of the device - something that appears to be confirmed by Samsung's marketing materials, which show the edges of the phone only being visible at its top and bottom. Financial giant, Visa in partnership with Nest Africa, a global accelerator and early-stage tech investor, has opened its first innovation boot camp in Africa. Africa Finance Corporation (AFC), a leading pan-African multilateral development finance institution and project developer, announces that Dr Sarah Alade, its Chairman, representing the Central Bank of Nigeria, from which she officially retired on 22 March, 2017, has also stepped down from her position as Chairman of the AFC Board of Directors with effect from today, Wednesday, March 29. L-R: Christian Nyassa, General Manager, Professional Products Division, L’Oreal, Sub-Saharan Africa; Omozo Ehigie, CEO/Co-Founder, O’Naturals Beauty Nigeria Limited, Lagos and Ugo Igbokwe, MD/CEO, Make Me Beauty Salons, Lagos during their visit to the O’Naturals Natural Hair Salon in Ogudu, Lagos on Saturday. 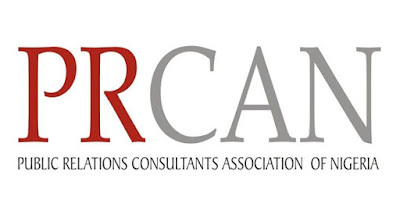 The 13th edition of the Public Relations Masterclass series, organised by the Public Relations Consultants Association of Nigeria (PRCAN), was held on Friday, March 24, 2017 at Adna Hotel, GRA Ikeja, Lagos. 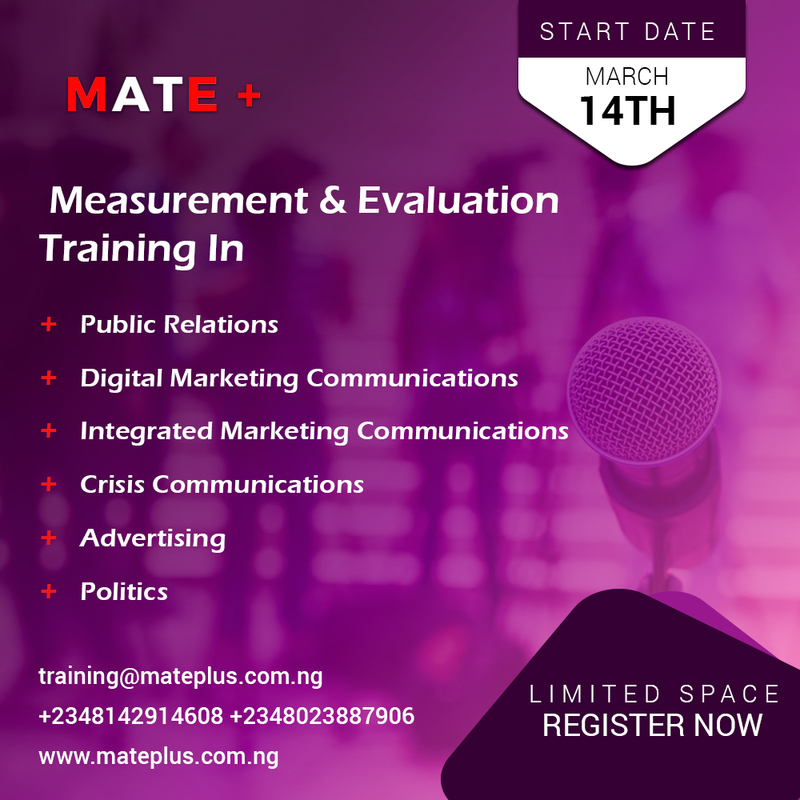 The Masterclass was facilitated by Mr. Celestine Achi, a digital PR strategist who is CEO of CIHAN Group, which recently launched the Nigerian DIgitalPR wire service; Mr. Monday Michaels Ashibogwu, CEO at The Republic Media Limited, and Miss Martha Okpeke, Accounts Director at Mediacraft Associates, a frontline PR consultancy. 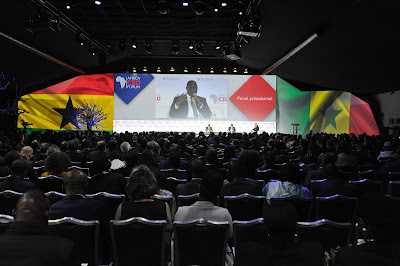 It is imperative for African governments to adopt coherent strategies and national development plans that address the continent's challenges of growth, inequality and unemployment, Economic Commission for Africa's deputy Executive Secretary, Giovanne Biha, said Thursday. Anthony Mogae Maruping, Economic Commissioner of the African Union welcomes Abdallah Hamdok of the Economic Commission for Africa during day 3 of the African Development Week. Ms. Biha said this in her opening speech to the Tenth Joint Annual Meetings of the African Union Specialized Technical Committee on Finance, Monetary Affairs, Economic Planning and Integration and the Economic Commission for Africa Conference of African Ministers of Finance, Planning and Economic Development. "The absence of decent jobs for young Africans has fuelled outward migration, both within and from Africa resulting in tragic loss of lives as young people attempt to cross the Mediterranean Sea in search for greener pastures." 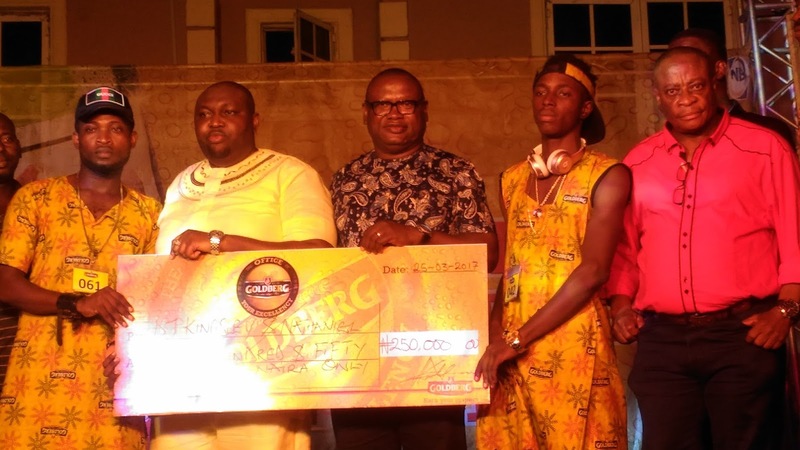 Disc Jockey (DJ) Kingsley Amhas and Nathaniel Iyayi, a Rapper have emerged winners of the grand prize of Two Hundred and Fifty Thousand Naira (N250,000) in the Goldberg Excellency Tour competition for DJs and free style artistes in Benin City, Edo State. The competition in Edo languages which was organized by Goldberg, also known as "Your Excellency," was held at the Play, House, Okhoro road, Benin City, from March 24 to 25, 2017. It was part of efforts at promoting the culture of the people of Edo State in line with Goldberg’s 3-point agenda of culture, respect and enjoyment. Tommy Hilfiger and Hugo Boss are the latest fashion companies to announce their own Android Wear 2.0 watches at Baselworld 2017. The news continues the trend amongst fashion brands stepping up to fill the gaps in the wearables market caused by an absence of new models from established tech companies like Motorola. Hugo Boss’ watch — the Touch — looks a bit more formal and appears to have a leather band option, which is nice. 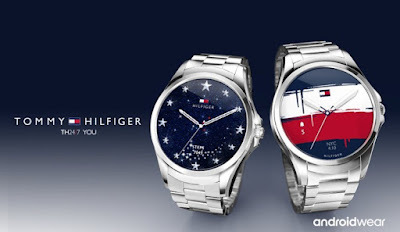 The Touch will offer NFC but no heart rate sensor. But given the fashion facing look, it’s probably not the sort of watch you’d wear on a run anyway. The Touch is expected to cost $395 when it hits the market in August. 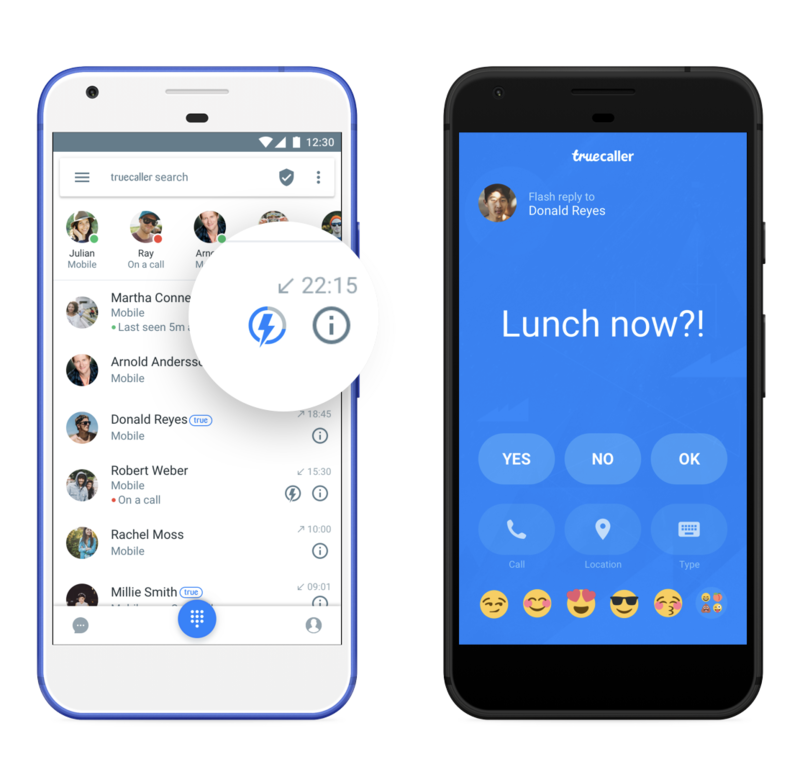 Truecaller on Tuesday announced a strategic agreement to integrate Google Duo, a high quality video calling service, within the Truecaller app. This will add a crucial communications layer that strengthens the value of Truecaller's wildly popular dialer, caller ID, and spam blocking app already used by more than 250 million users globally. Lagos State Governor, Mr. Akinwunmi Ambode has said his administration has concluded plans to begin a total revamping of the National Arts Theatre in Iganmu, Lagos by next month in time for the 2017 Africa Movies Academic Awards (AMAA) ceremony holding in the State later in the year. Governor Ambode, who spoke when he played host to officials of AMAA led by its President, Mrs. Peace Anyiam-Osigwe, at the Lagos House, Ikeja, expressed optimism that the plan to upgrade the Theatre to world class standard would serve as a viable venue for the AMAA event when completed. “I want to also say that I am very particular about the venue of the AMAA, so we would use everything possible to make sure that the National Arts Theatre is ready. We are in a process and before the month ends, we should have something to start doing within the first week of April to getting the whole place ready,” he said. 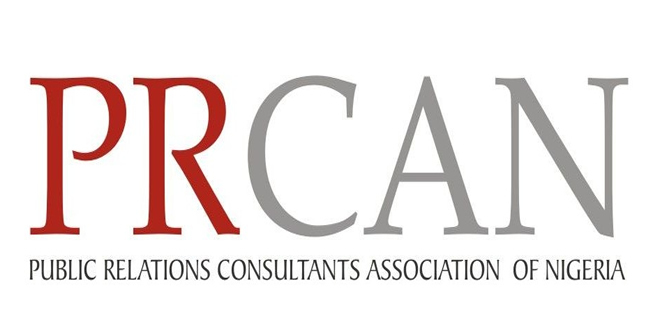 Public Relations Consultants Association of Nigeria (PRCAN) will be holding its Annual General Meeting (AGM) and Executive Council election on Friday March 31, 2017. 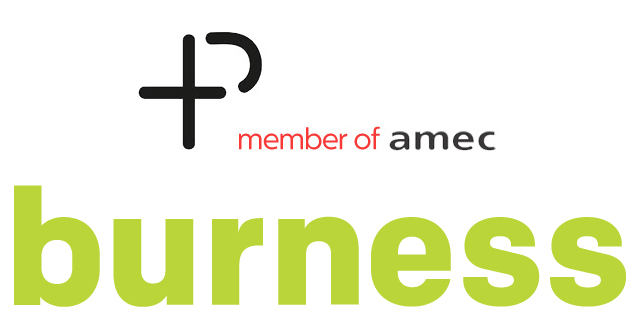 During the AGM, a new executive council will be elected. 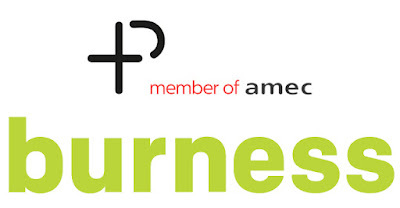 The event is expected to have all the 56 member companies of the association represented as the outgoing council would be giving account of their stewardship the past council year. A significant part of activities lined up for the AGM is an interactive discourse session. The outgoing President of the association Mr John Ehiguese will present a paper that would review current trends in the market and highlight contemporary challenges being faced in the Nigeria’s PR industry. The 21 year-old business management student Demi-Leigh Nel-Peters has been crowned Miss South Africa 2017 at a ceremony at Sun City on 26 March 2017. The new Miss South Africa Demi-Leigh Nel-Peters, who hails from Cape Town, takes over from last year’s winner Ntandoyenkosi Kunene. She walks away with prizes worth R2 million and a R1-million cash prize. Adè van Heerden and Boipelo Mabe were crowned first and second princesses respectively. The 2-day food exhibition and sales event aimed at projecting the diverse angles of the food industry. 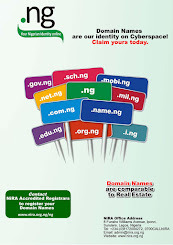 The fair was created by innovative bank, Guaranty Trust Bank Plc, as part of its efforts to empower small businesses. 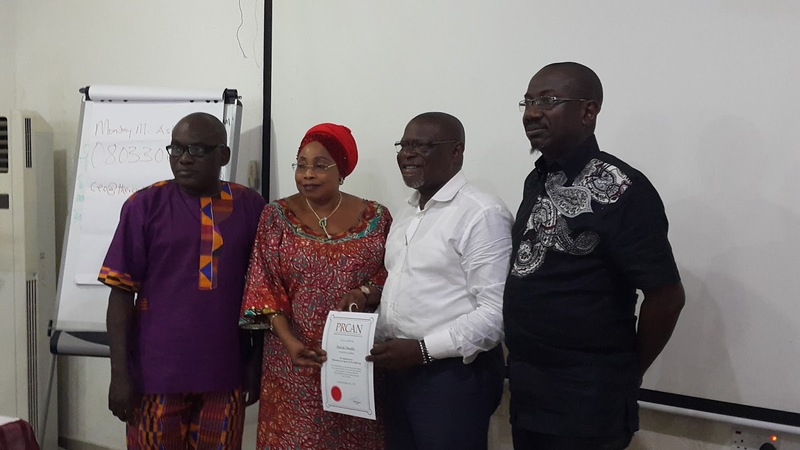 Rullion Capacity Builders, a non-governmental organization focused on empowering women and youths in skills acquisition and entrepreneurship has been granted national accreditation by the federal ministry of labour and productivity as a trade testing centre for vocational training. 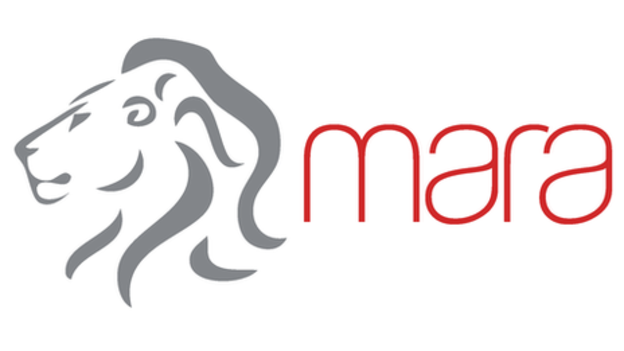 Chief marketing officer of Coca-Cola Marcos de Quinto is set to retire after a near 35-year career at the company. The beverage giant has hence decided to rid of its global chief marketing officer position by merging it with ‘customer and commercial leadership as well as strategy’ to create a new ‘chief growth officer’ role. 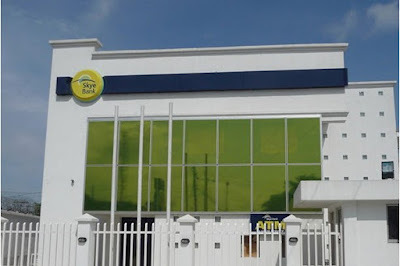 Nigeria’s leading customer-friendly Bank, Skye Bank Plc. has revved up preparation for the second drawof its hugely successful Reach for the Skye Millionaire reward promo where another Millionaire is expected to emerge along with several consolation prize winners. The draw which has been scheduled to hold on Thursday, 30thMarch, 2017 in Owerri, Imo State, alignswith the Bank’s effort in encouraging savings culture and rewarding loyal customers.Already the first Millionaire, Olusola Olusegun Ezekiel, has emerged at the first draw of the Season II which held on Feb. 16th 2017 in Ikorodu, Lagos. Fortune has released its 2017 list of the world’s 50 Greatest Leaders. According to Fortune, whether in business, government, philanthropy and the arts, and all over the globe, these men and women are transforming the world and inspiring others to do the same. The list includes people like Pope Francis, the head of the Catholic Church; Jeff Bezos, founder and CEO of Amazon; Jack Ma, founder and CEO of Alibaba Group and more. There are three Africans, a Nigerian, a Zimbabwean and a Ugandan from different fields of endeavour on the list for 2017. 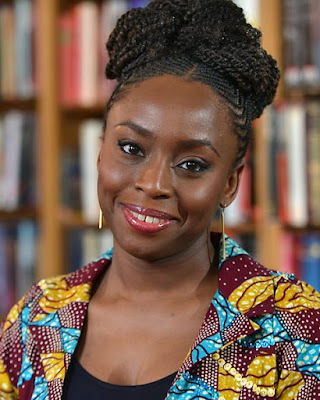 They are Chimamanda Ngozi Adichie – a Novelist and an essayist; Strive Masiyiwa – a Telecoms and technology entrepreneur and Frank Mugisha – an activist for the sexual minorities. Young Startups have been tasked to focus on building a reputable brand and creating value in business rather than making money a priority. 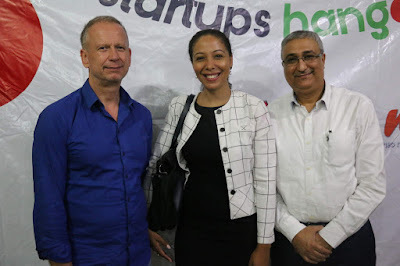 With the mindset of making money being major focus for up and coming entrepreneurs, speakers at the CFA's Startups Hangout March Edition are of the opinion that creating value and building a brand remain critical factors for a sustainable business. Addressing entrepreneurs at the event, Nkemdilim Begho, CEO, Future Resources Software Limited stressed that the creation of value in a business, as well focusing on how to build the brand should be the primary objective for startups. Sophia Genetics, global leader in Data-Driven Medicine, unveiled today, at the 2017 Annual Meeting of the American College of Medical Genetics and Genomics (ACMG) in Phoenix, the list of African hospitals that have started integrating SOPHiA, the company’s artificial intelligence, into their clinical workflow to advance patients’ care across the continent. 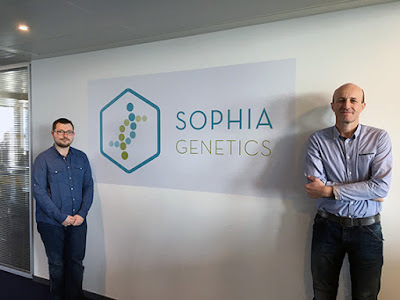 Medical institutions at the forefront of innovation already using SOPHiA in Africa include: PharmaProcess in Casablanca, Morocco; ImmCell in Rabat, Morocco; The Al Azhar Oncology Center in Rabat, Morocco; The Riad Biology Center in Rabat, Morocco; The Oudayas, Medical Analysis Laboratory, Morocco; The Center for Proteomic & Genomic Research (CPGR) in Cape Town, South Africa; and The Bonassama District Hospital in Douala, Cameroon. Professor Mark Graham while addressing the 4th UNI Africa Conference in Dakar, Senegal, warned of the danger of ‘parasitic capitalism’ where digital companies give little back to the places where they are embedded and platform workers are left to fend for themselves. 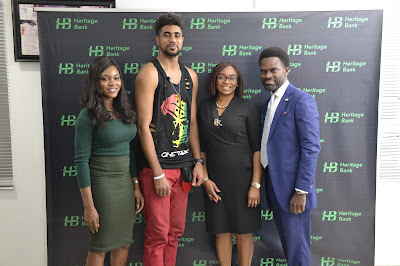 Most recent evicted housemates at the ongoing Big Brother Naija reality TV show, Offiong Edet Anthony (Thin Tall Tony), visited Heritage Bank Corporate Communication office in Lagos over the weekend. 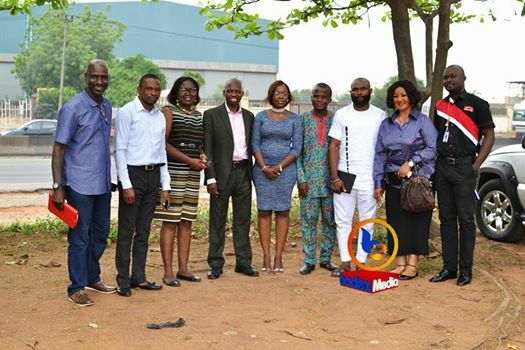 R-L: Fela Ibidapo, Group Head, Corporate Communications, Heritage Bank Plc; Osepiribo Ben-Willie, Divisional Head, Private Wealth Management of the bank, Offiong Edet Anthony (Thin Tall Tony), Big Brother Naija's housemate and Omobolaji Mogaji, Media Sales Executives at Multichoice; during TTT’s visit to Heritage Bank’s Corporate Communication in Victoria Island Lagos, weekend. Thin Tall Tony as he is famously addressed and Omobolaji Mogaji, Media Sales Executives at Multichoice stormed the bank’s office in Victoria Island where Fela Ibidapo, Group Head, Corporate Communications, Heritage Bank Plc and his team welcomed them. The tall lanky light skinned Tony was evicted penultimate Sunday after spending eight weeks in the house, thus becoming the seventh housemate to be evicted. Bugatti has partnered with German-based luxury bicycle manufacturer PG to create the world’s perfect urban bike. It’s not the first time the two have come together to release a bike with Bugatti branding. 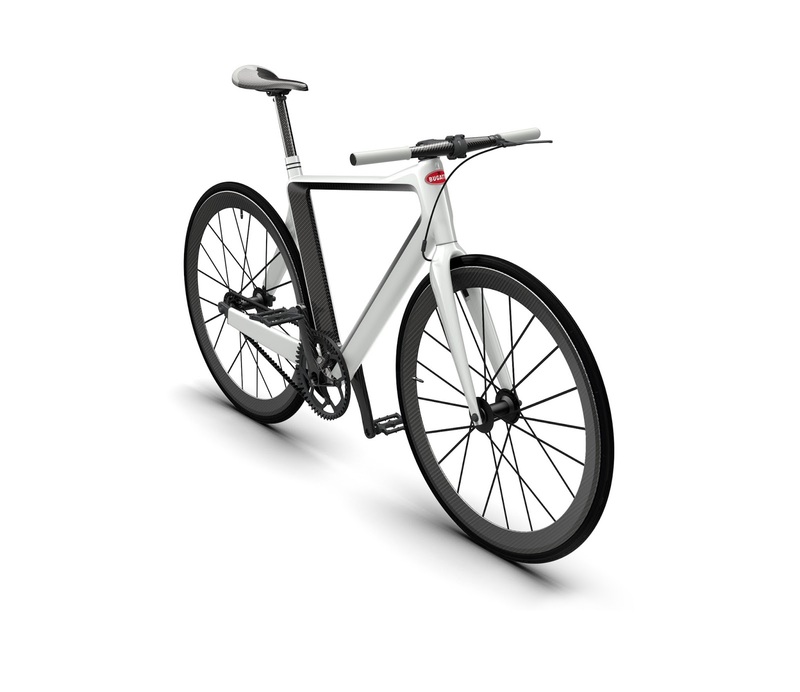 The new product weighs less that five kilograms, which makes it one of the lightest urban bikes in the world. All frame cross sections are oversized to ensure maximum rigidity and have been optimised for the aerodynamic demands of high speeds. 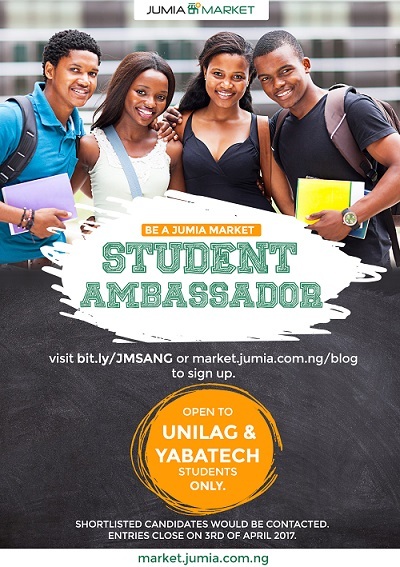 Jumia Market Is Recruiting Student Ambassadors! 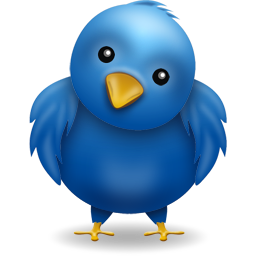 Are you keen on upgrading your advertising abilities? The Jumia Student Ambassador program is for you! As a student ambassador, you get to create awareness and buzz about Jumia Market as well as connect students with Jumia Market. Ambassadors must be energetic, motivated and enrolled in either University of Lagos or Yaba College of Technology. 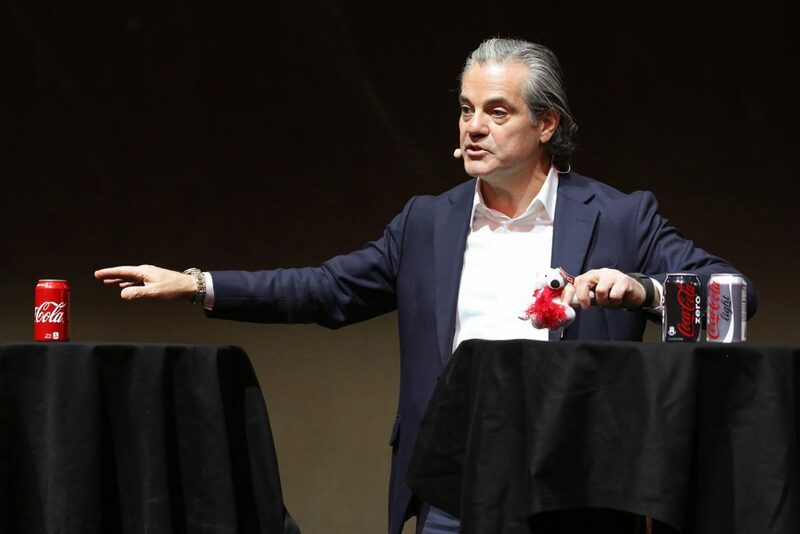 Worldwide leader in IT and networking Cisco has released its Annual Cybersecurity Report (ACR). The Cisco Annual Cybersecurity Report, now in its tenth year, examines the latest threat intelligence gathered by Cisco security experts, providing industry insights that reveal customer security trends. The 2017 report also highlights key findings from the third annual Cisco Security Capabilities Benchmark Study (SCBS), which examines security professionals’ perceptions of the state of security in their organizations. It shares geopolitical trends, global developments around data localization, and the importance of cybersecurity as a boardroom topic. 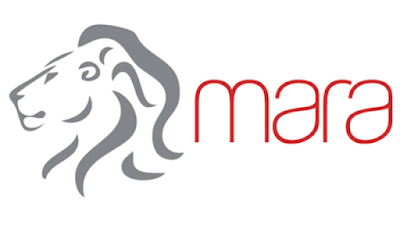 Mara Social Media, an African multi-channel platform of online and mobile tech innovations that are designed to connect people across emerging markets, has announced this week that it has acquired global platform Nimbuzz Assets. 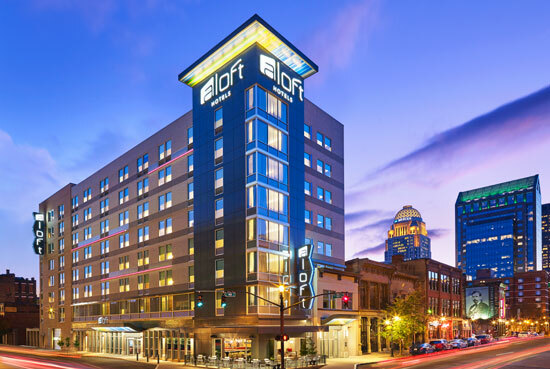 Marriott International, Inc. have announced plans to launch its cutting-edge Aloft brand in the capital city of Mauritius with the signing of Aloft Mauritius Port Louis. Slated to open in early 2019, the hotel will be the brand’s first adaptive reuse project in Africa. 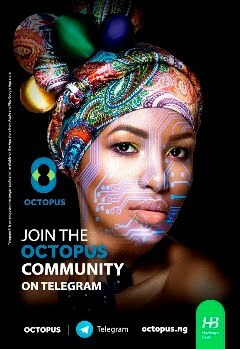 Located in the central business district area of Port Louis, the existing 9 floor office building will transform into the city’s newest destination sensation complete with 150 spacious, loft-like rooms, accessible technology and a hip, social atmosphere. 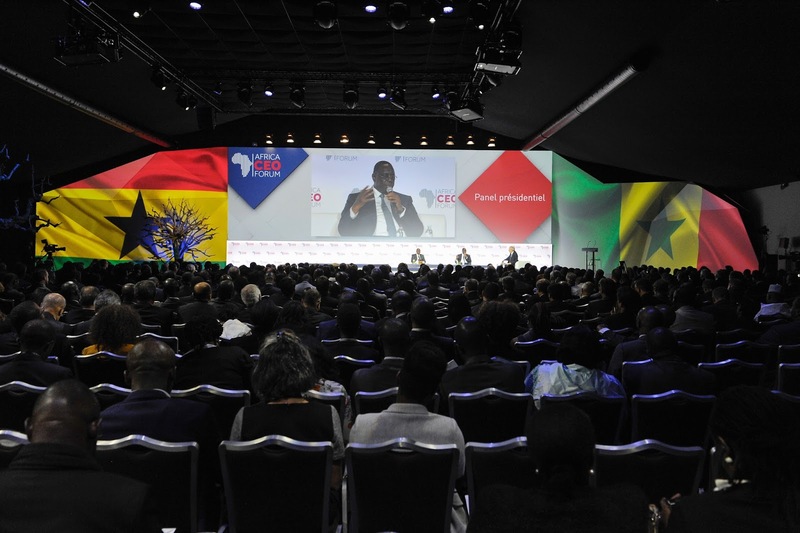 The President of Ghana, Nana Addo Dankwa Akufo-Addo and his Senegalese counterpart President Macky Sall, graced the Africa CEO Forum 2017 with their presence, to discuss how Africa's sub-regions can work more closely together in a world where demands for economic nationalism and protectionism are on the rise. Switzerland's Minister of Economic Affairs, Education and Research, Johann Schneider-Ammann, gave the welcome address ahead of the panel discussion which marked the end of the 2-day event. 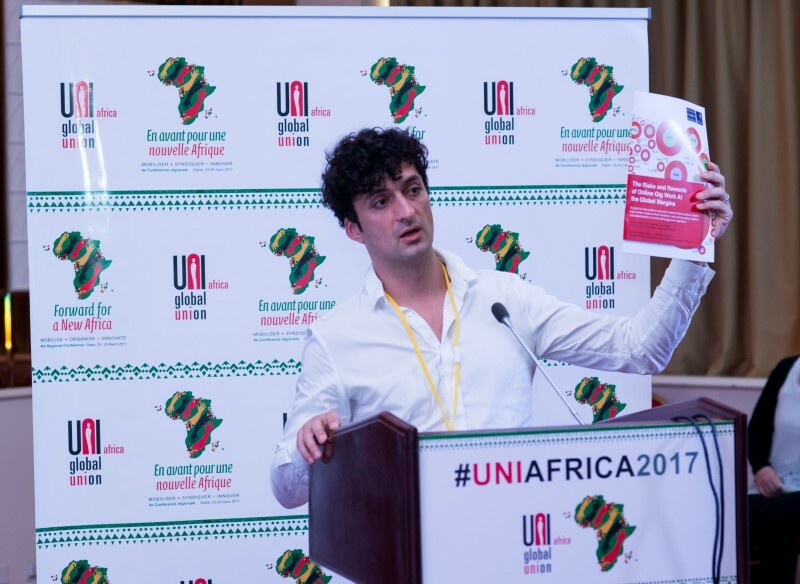 Patrick Smith, Editor-in-chief of The Africa Report magazine moderated the special panel highlighting the shared democratic history of both West African countries in recent years.